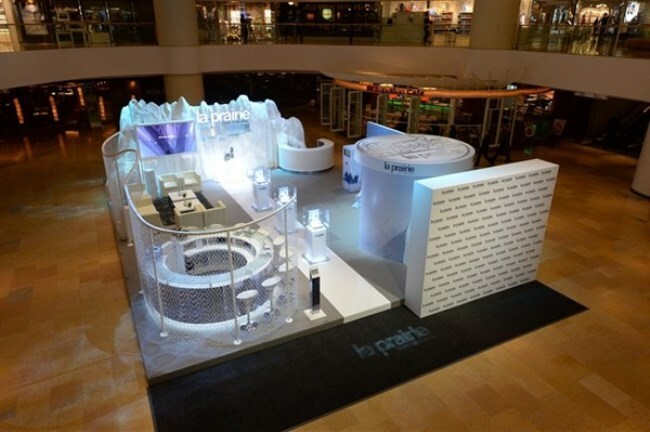 Leading beauty brand La Prairie launched the Timeless Beauty Discovery Journey exhibition at Pacific Place, where fans of the brand, models, and celebrities mingled and explored the exciting exhibition. Timeless beauty is a key part of La Prairie’s brand ethos. The company, hailing from Switzerland, has harnessed the properties of extremophile plants and algae into their unique Swiss Ice Crystal Complex, which utilizes the strength of the plants and algae to allow skin to be more resilient. To highlight this collection, and their message of ‘timeless beauty’, the brand has launched the exhibition, which will be at Pacific Place for 15 days. The exhibition areas will be transformed into the gleaming, crystalline world of the Swiss Alps, that will be divided in three parts. The first, located at the LG1 Garden Court, decorated to feel like the snowy hills of the Alps, with a ski slope and cable car replica, a great photo opportunity for people who wish to dress in the provided ski gear and take photos to upload to Instagram, and take home a photo printout as a gift. The second exhibit contains a photo gallery, featuring eight celebrity guests’ “Moments of Timeless Beauty”, who have shared their favourite timeless beauty moments. The celebrities include Ankie Beilke, Eunis Chan, Juliana Lam, Samantha Sun, Qinnie Chen, Cecilia Yau, Cindy Ko and Jenny Chau, all of whom were present at the event. The third exhibit also highlights the scientists’ journey into the Swiss Alps and their discovery of three survivor plants, key ingredients in the Cellular Swiss Ice Crystal Collection. Stephen Fung officiated the opening of the exhibition, along with the 10 timeless beauty partners who contributed to the photo gallery. 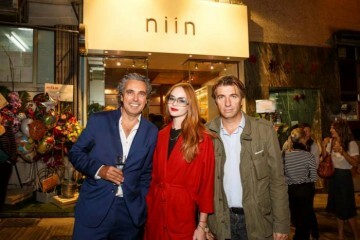 Brand director Noelle Cheng, Vice President Asia of La Prairie Peter Stockdale, and General Manager Retail of Swire Properties Elizabeth Kok toasted to the opening of the exhibition. Guests then explored the exhibition areas, posing for photos and testing the latest La Prairie products.